Which is the physiological response of phytoplankton to global warming? Since the beginning of his studies, Marco had a particular interest on the Ocean and its relation to the climate change. For this reason, he decided to study Biology and, especially, Ecology by taking several classes related to the marine ecosystem and dynamics. The thesis for his Bachelor degree was about fishery and aquaculture, evaluating the impact of human activities on the ecosystem and morphology of fishes. During the Master degree, Marco became more interested on oceanography and, in particular, on the interaction between the different agents (i.e. biological, physical and chemical) that characterize the marine ecosystem. The thesis for his Master degree focused on the hydrological and biological analysis of the eastern Mediterranean Sea, performed by in situ and ocean color data, understanding the role of cyclonic and anticyclonic gyres on phytoplankton biomass concentration. After this academic step, he decided to focus on bio-optical and satellite oceanography, and thus started a Ph.D. on the role of photo acclimation on the phytoplankton seasonal cycle in the Mediterranean Sea as seen by remote sensing and field data. 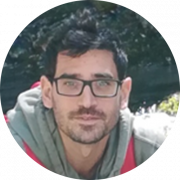 Marco has conducted both Master and Ph.D. theses at the Institute of Atmospheric Sciences and Climate (ISAC) of the Italian National Research Council (CNR) in Rome (Italy). During his Ph.D., he spent three months as a Guest Student at Woods Hole Oceanographic Institution (WHOI). In addition, he experienced how to collect hydrographic and ocean-optics measurements (i.e., CTD, radiometers, and IOP packages) as well as remote sensing data processing and analysis. After that, he started a two-year postdoc at the Laboratoire d’Oceanographie de Villefranche sur Mer (LOV; France), with a postdoctoral fellowship provided by the Centre Nationales d’Etudes Spatiales (CNES). His postdoc project focused on assessing the main temporal cycles of Inherent Optical Properties (IOPs) using high frequency observations from BOUSSOLE, evaluating the implication for the future geostationary space mission. His project, PhysioGlob, selected by the ESA Living Planet Fellowship programme, aims to assess and describe the inter-annual physiological response of phytoplankton to global warming using long-term satellite observations. To extract and study trend and oscillations of the physiological signal (Chl:Cphyto ratio) and its relationship with sea surface temperature on a global ocean scale.